Open Hours: Spring Semester are Monday 12:00 - 4:00 PM, Tuesday 9:00AM - 3:00 PM, and Wednesday through Friday 9:00 AM - 4:00 PM, and by appointment. The Museum is closed Summer Semester and during University holidays and breaks). The artifacts in the collection of the Museum have been donated by private individuals to OSU over the years, many of them in the late 19th and early 20th centuries. They are now brought together here for display, study, and educational purposes. 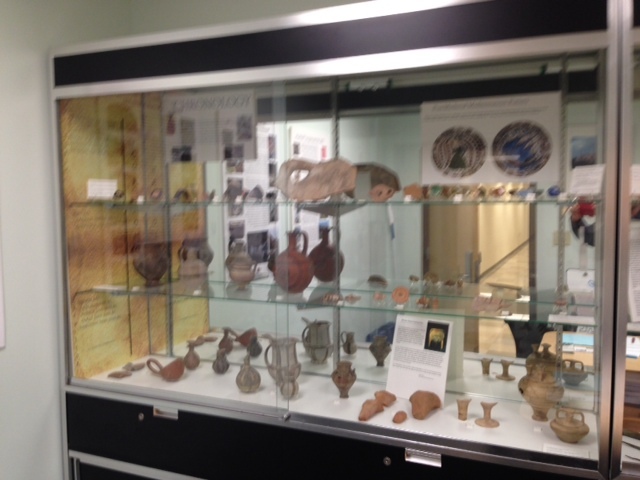 The collection is especially strong in prehistoric pottery from Cyprus, probably because a now-unknown donor acquired them together and presented them to the University. 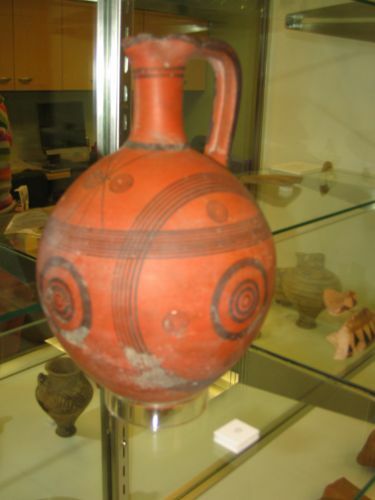 Pottery from all periods, however, is displayed, from Neolithic (ca. 4000 BC) to the recent past (19th century AD). 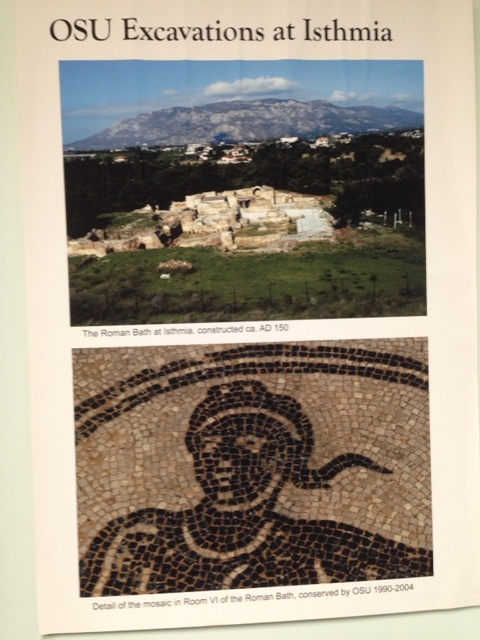 In addition, the Museum displays iron tools and weapons, examples of ancient writing, religious objects, and artifacts used in the construction of lavish Roman-period buildings. 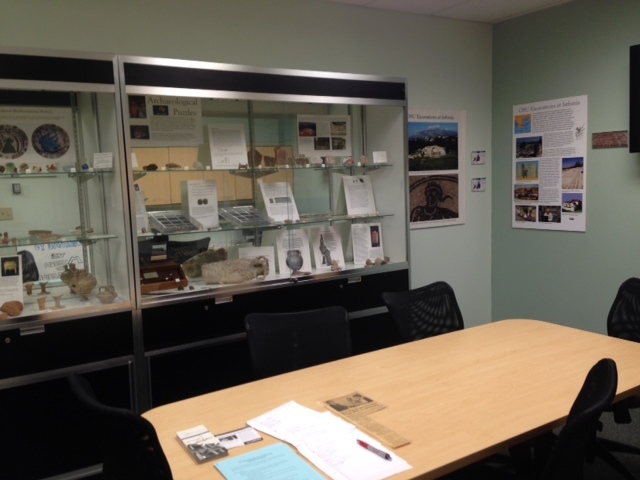 View of the interior of the Museum, with the desk in the center for work on Museum artifacts or discussion with students. 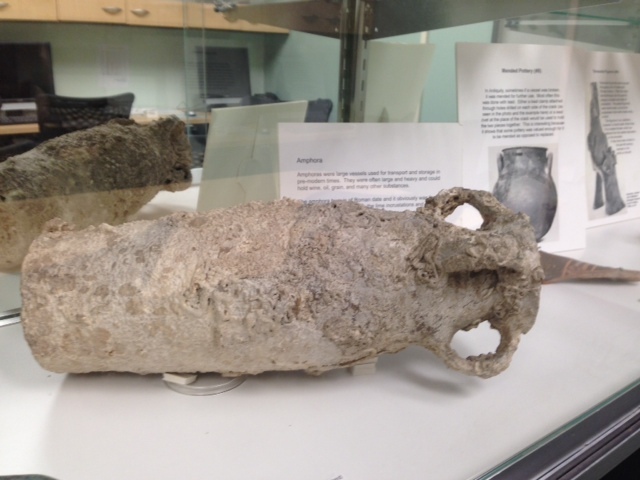 In addition to the objects on display, the Museum has hundreds of artifacts in storage. These are for study and research purposes, but some of them are brought out for "hands-on" examination by class groups. The Museum also has a rich collection of models and photographs provided by the Committee for the Restoration of the Parthenon (a division of the government of Greece). One of the newest addition to the Museum (and certainly its largest one!) is a "threshing sledge" (or, in Greek a doukani), when you come in to the Musuem you will certainly notice the doukani and we hope to present further information about it on this website. In addition, the Museum makes use of digital technology to bring students and researchers into direct contact with the OSU Excavations in Greece, where OSU students and faculty carry out research each year. Most of the Museum's collection has been photographed, and we are slowly making these available to those who "visit" us on this site. In order to view these, click on the link at the upper right side of the page.